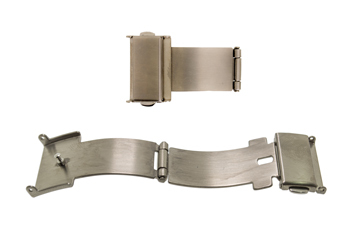 Titanium Trifold double push button clasps. Locks securely. Available in 10, 12, 14, 16, 18, 20, and 22mm. Price break on purchase of three.